When I saw the Christmas Gifts Vinyl Kit from SVGCuts, I knew it was one I needed to add to my ever growing collection of their fabulous kits! I found the cool weathered frame at Michaels last week for 40% off and used a mobile coupon to score another 25% off the sale price, I went back and picked up a few more to make a couple more Christmas gifts. 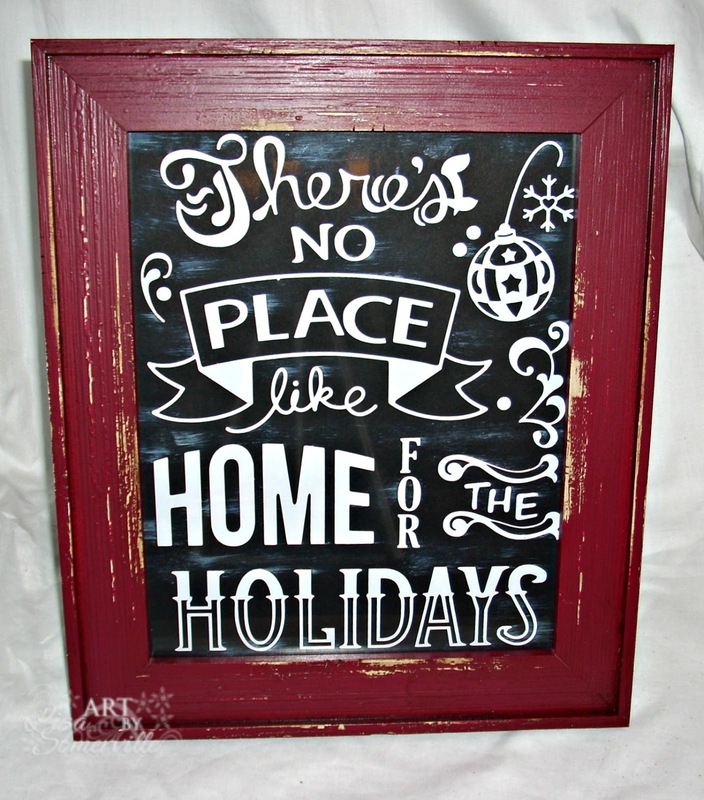 I used the Silhouette Cameo to cut the "There's No Place Like Home" Caption from White vinyl and adhered it to a piece of Black card stock using Transfer Tape, then smeared some Picket Fence Distress ink onto the Black card stock to resemble a chalkboard. To decorate the glass candle holder, I cut the French Lace Design from Gold Etched Vinyl using the Silhouette Cameo. 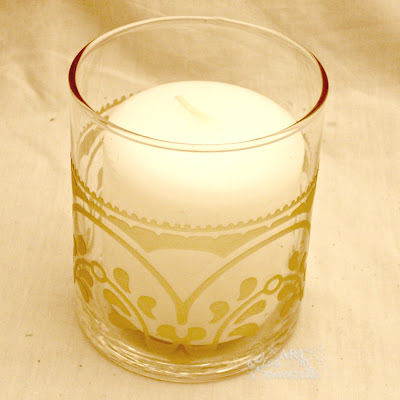 This SVG file would make a fabulous stencil and would also look wonderful when used on glass with Etching Cream. I've had the tins in my alterable stash forever, they are from Specialty Bottle. I covered them with Bo Bunny Pattern paper, then cut the "Calories Don't Count" Caption in Red Vinyl and the "Fa La La La La" Caption from White Vinyl using the Silhouette and added them to the lids using Transfer Tape. The larger tin holds twelve of the Reeses Christmas Bells nicely! Thanks for stopping by, I'll see you tomorrow for Kitchen Sink Stamps Monday! Such wonderful gift ideas. 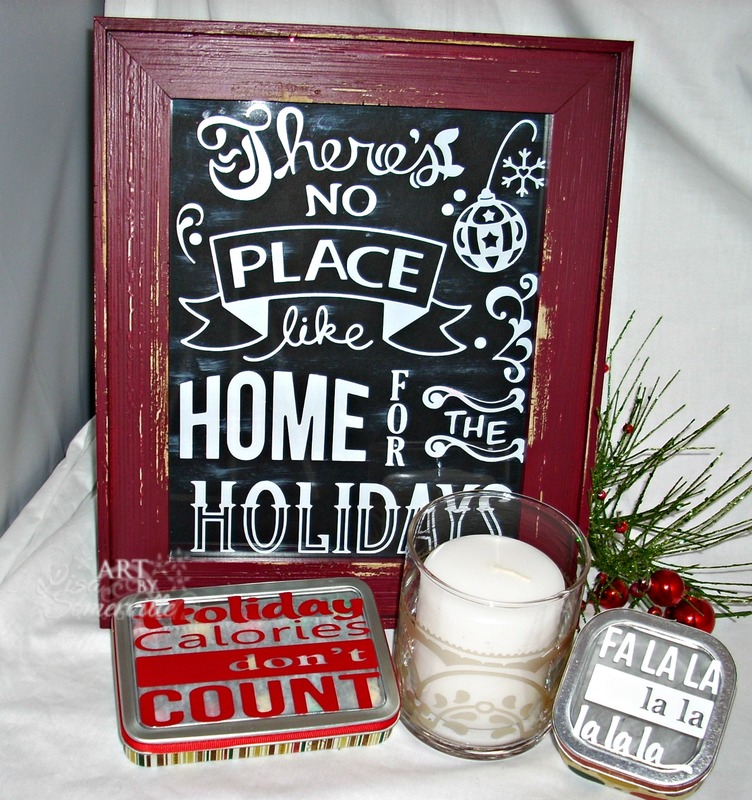 Love the frame and the candle will add lovely cheer to any festive table. Grat chalkboard, actually did not know it wasn't till I read you post. Wonderful collection of fabulous gifts! Love the frame. These projects are fabulous, Lisa! 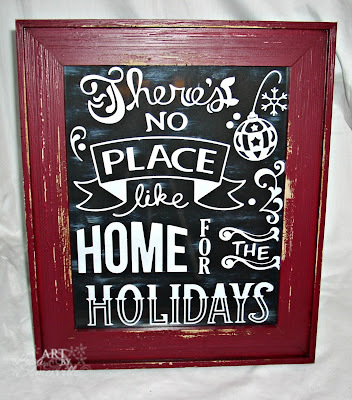 What a great décor piece that framed sentiment is! Enjoy the week! Love your Christmas projects! I've gotta try vinyl and etching. Thanks for the inspiration!